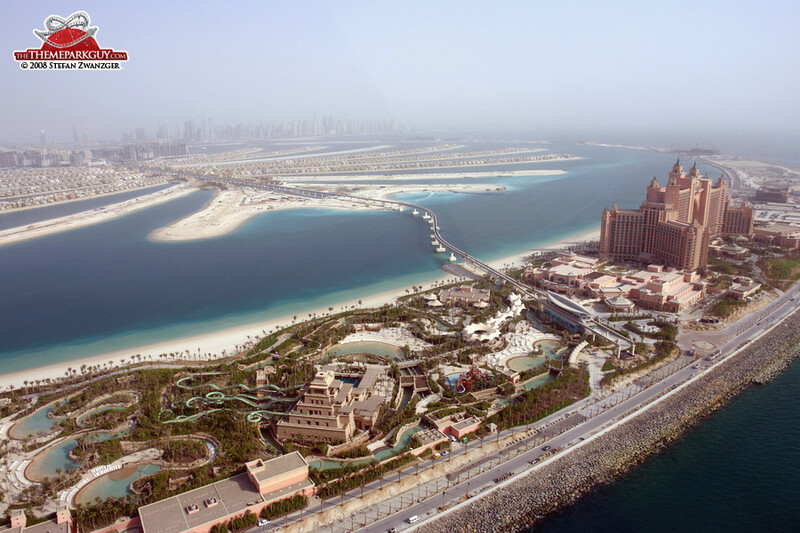 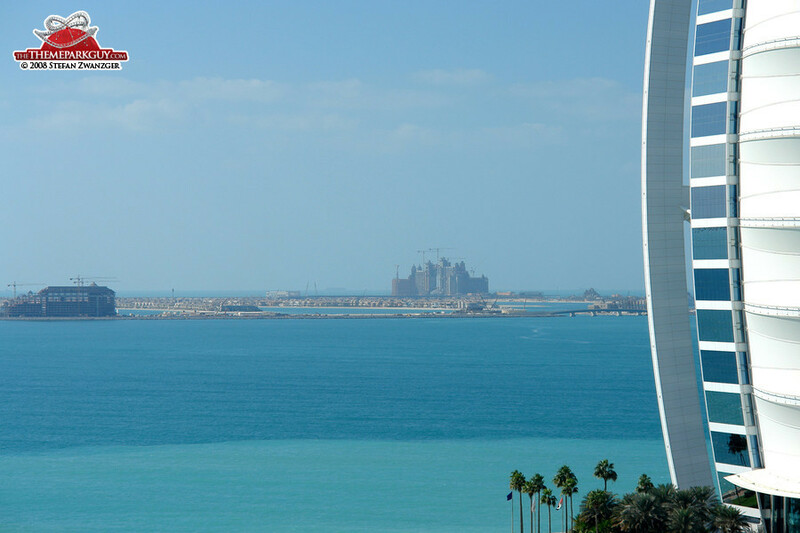 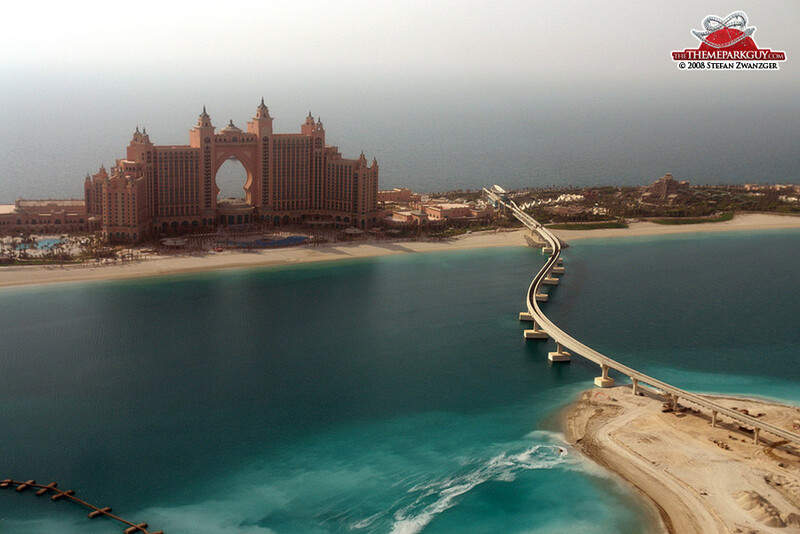 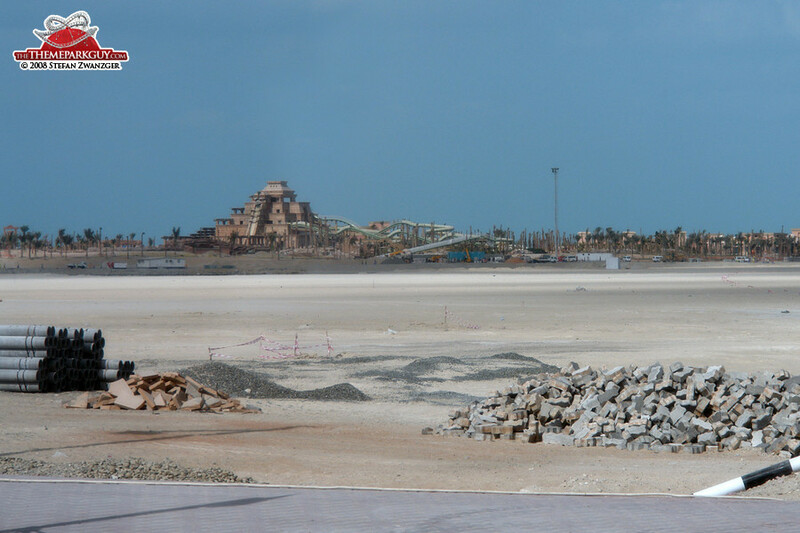 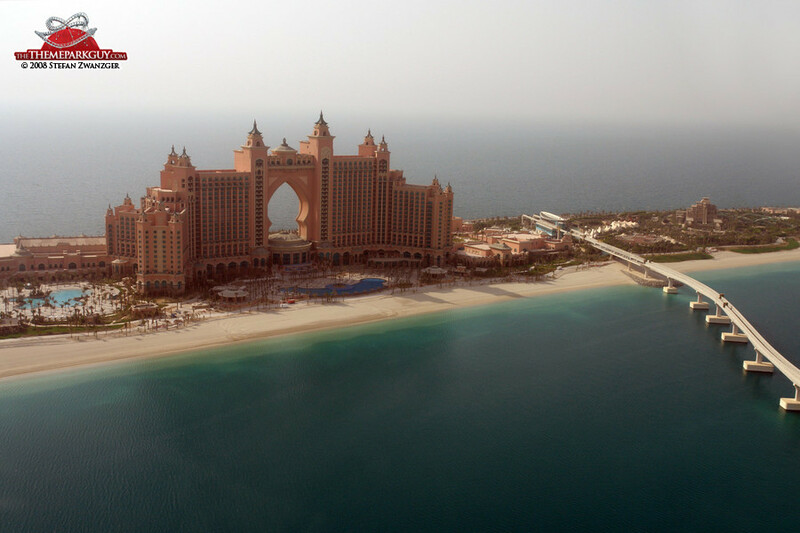 Sheikh Mohammed Bin Rashid Al Maktoum had another vision: he wanted to have a casino-free version of the amazing Atlantis Paradise Island Bahamas resort on top of his famous 'Palm Jumeirah', an artificial palmtree-shaped island reaching out into the Persian gulf. 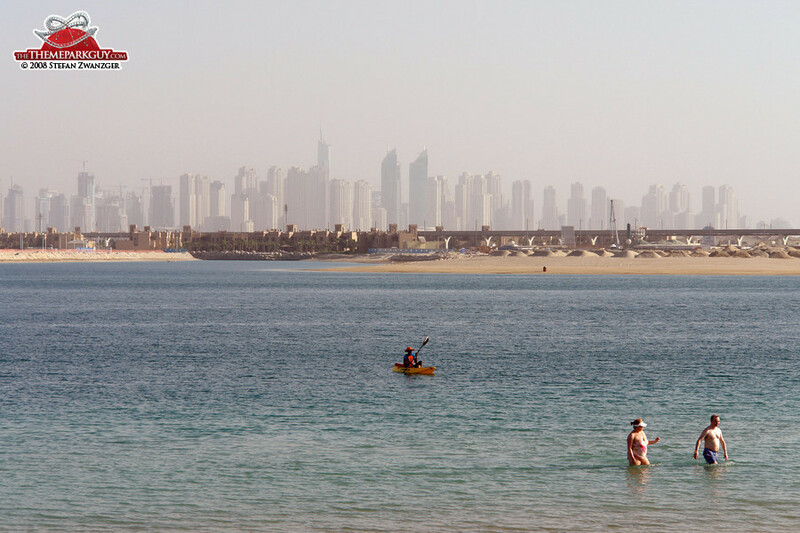 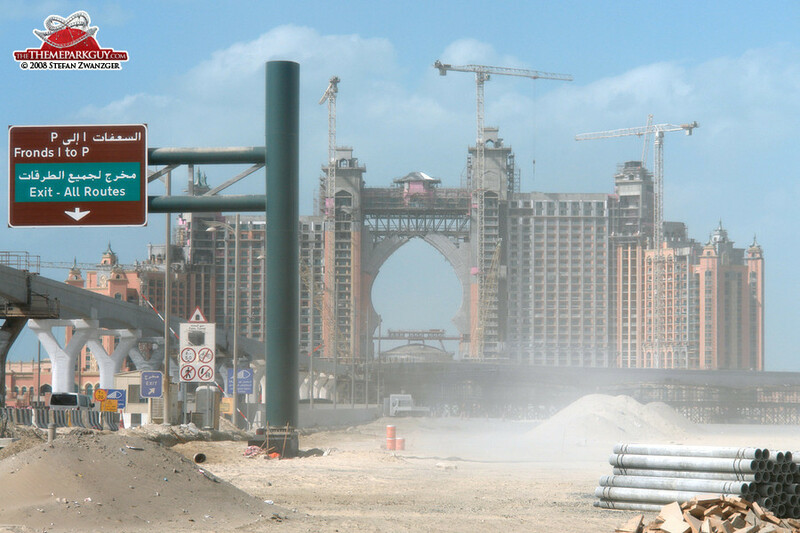 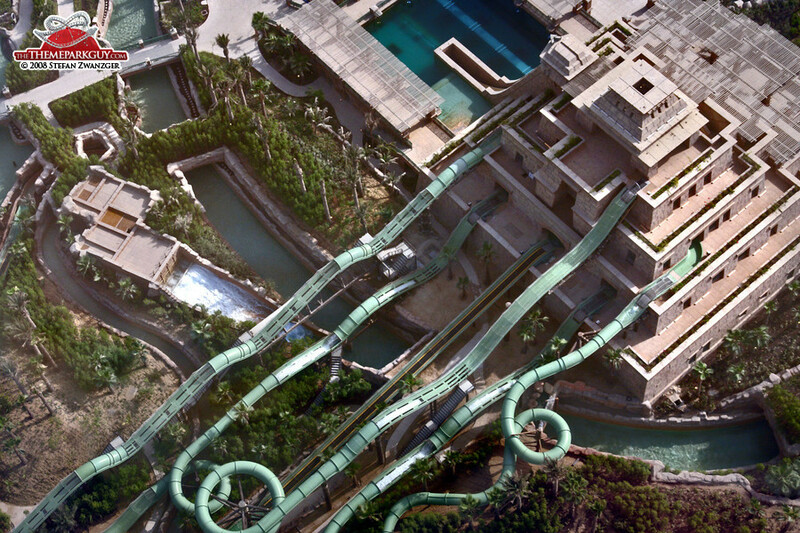 And lo, there was Atlantis Dubai! 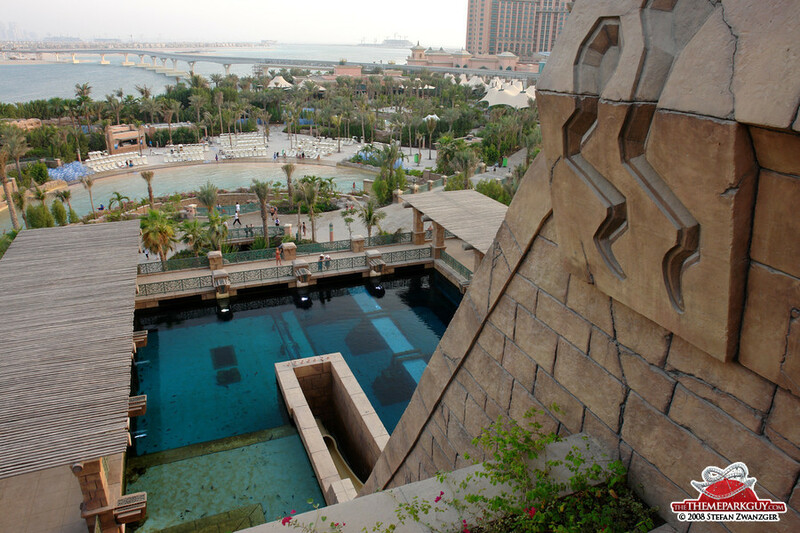 Besides being a picturesque hotel resort looking like a still from a Star Wars trailer, you'll find a brilliant water park and an absolutely marvelous Atlantis-themed aquarium. 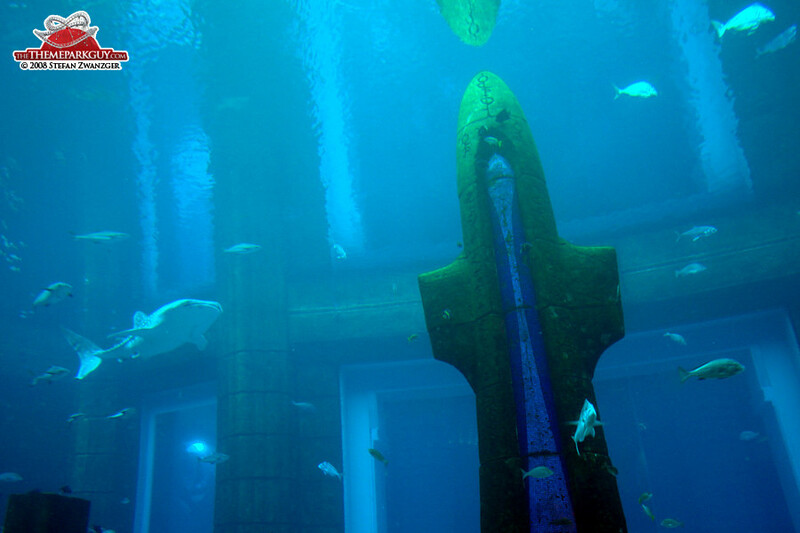 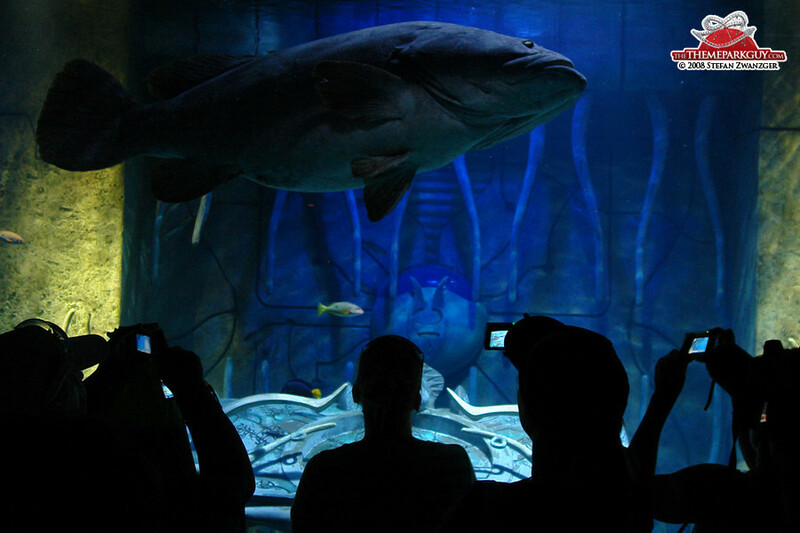 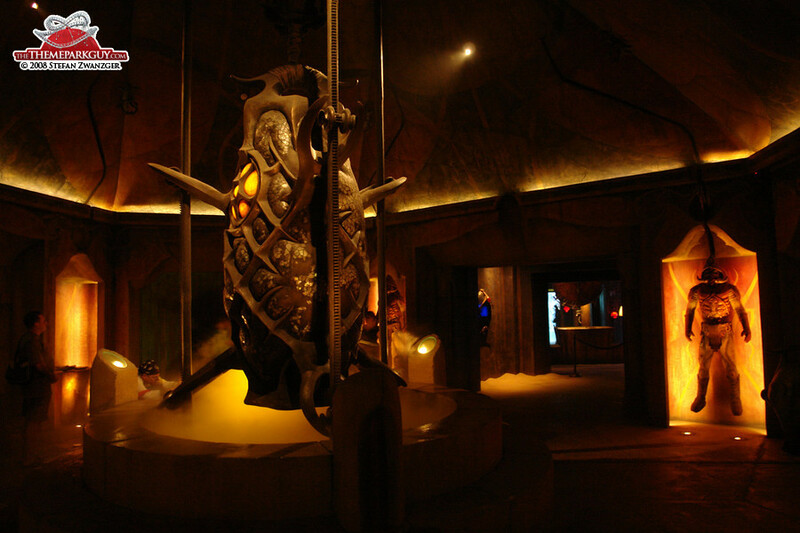 'Lost Chambers', the aquarium, really feels like walking through a sunken city with winding caverns punctuated by enormous windows opening out to an aquatic utopia filled with sharks, barracudas and rays. 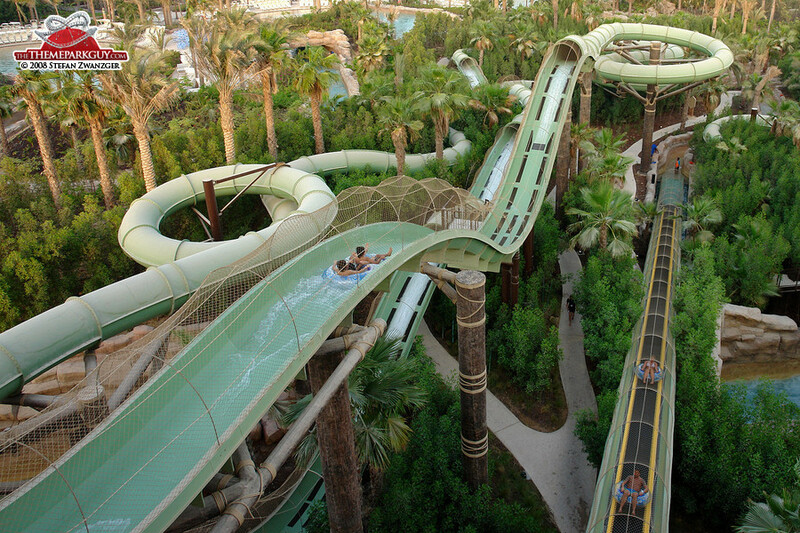 'Aquaventure', the water park, will make your jaw drop: first with the ticket price and afterwards with the quality of the slides. 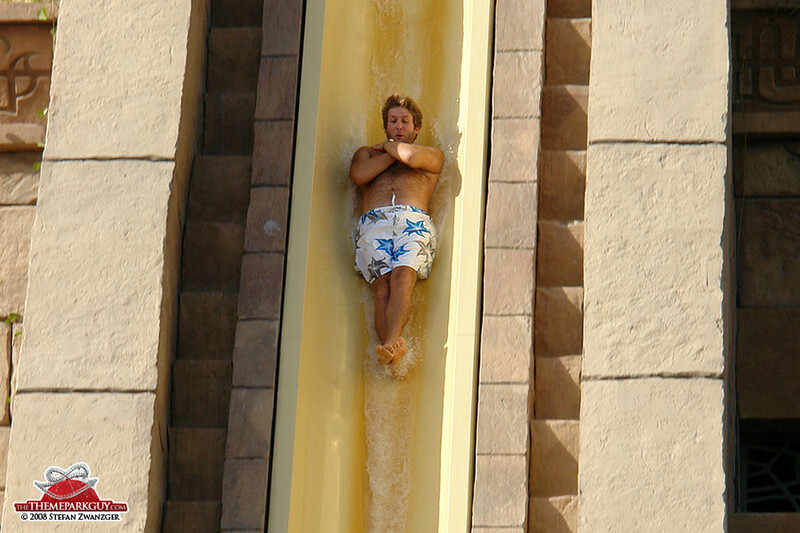 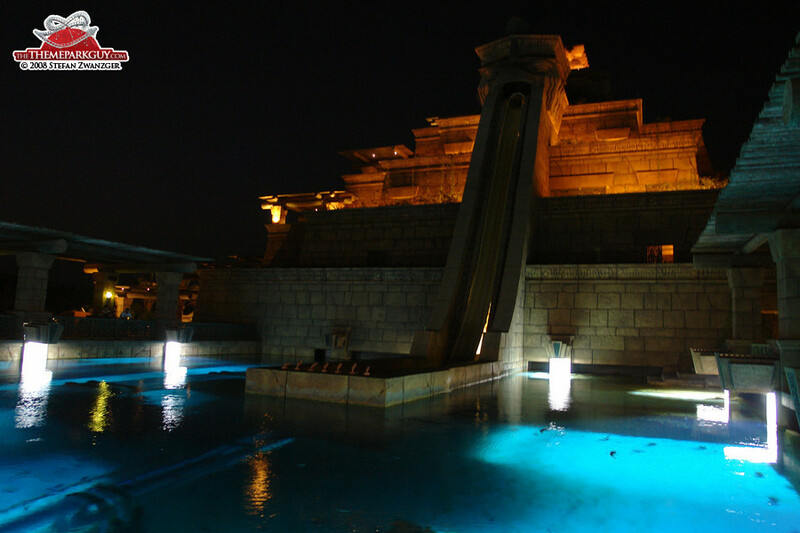 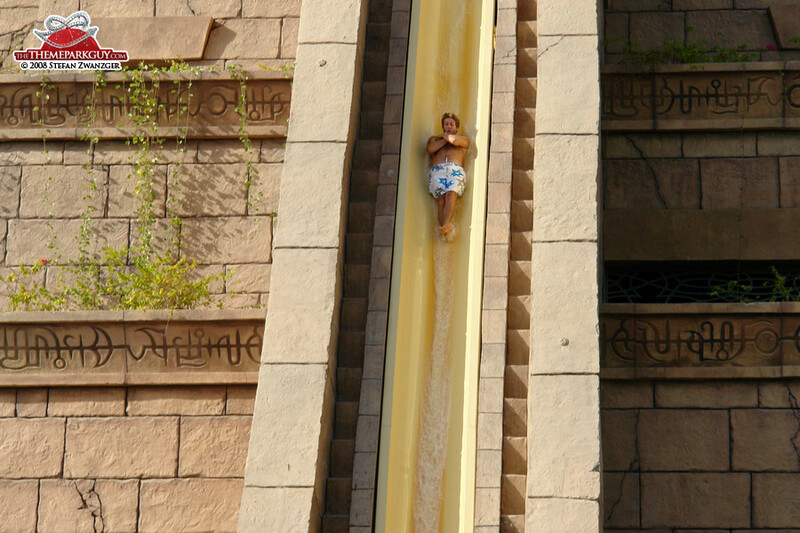 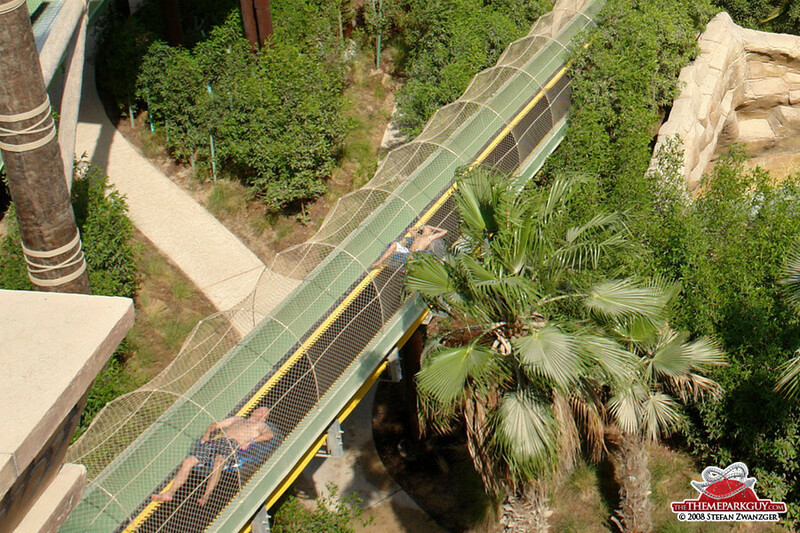 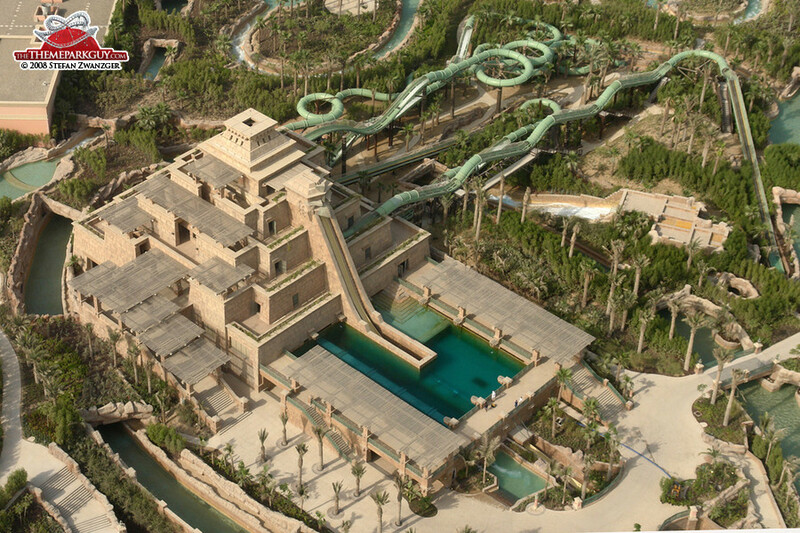 'Ziggurat', the centerpiece of the park resembling a Mesopotamian temple, hosts an array of state-of-the-art waterslide choices including water coasters that shoot you up-and-down and 'The Leap of Faith', a steep slide that sends you through a shark-infested pool (in a tunnel, of course). 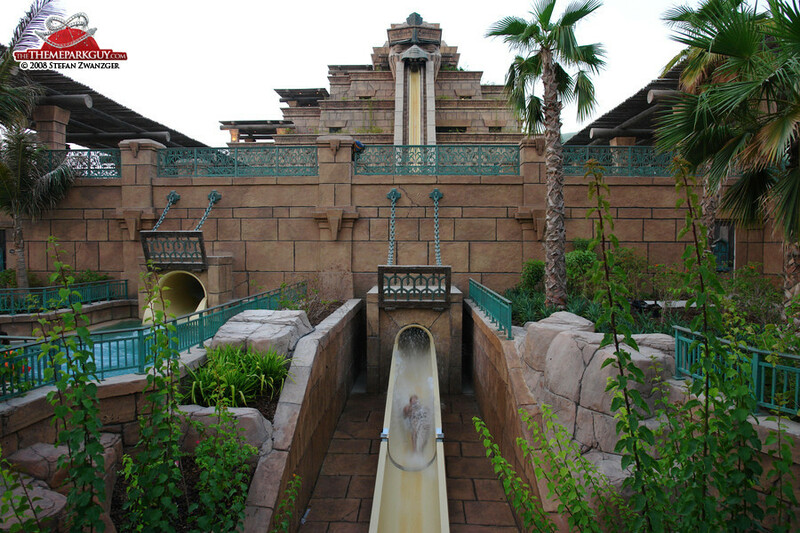 Highlight for the sluggardly and slothful: escalators which lift you back up to the top of the slides without the need to leave your tube, guaranteeing an endless sliding experience. 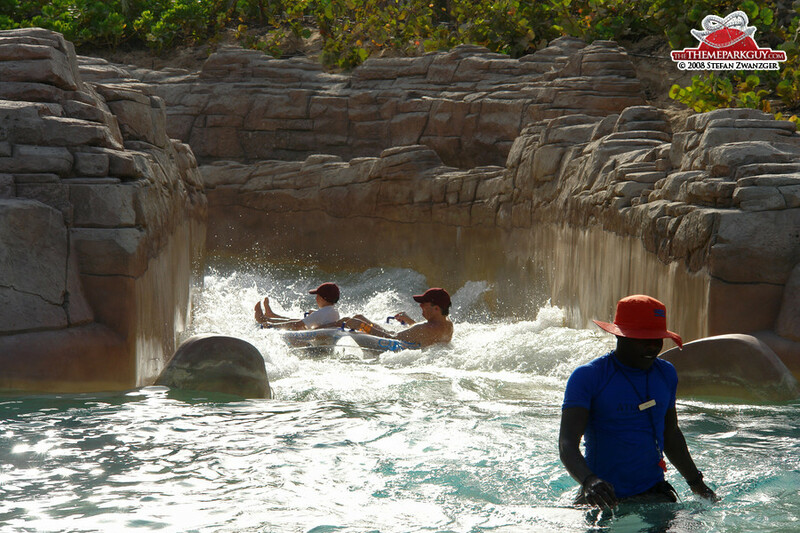 Another highlight are the 'Rapids', an artifical white-water rafting adventure circumnavigating the whole park. 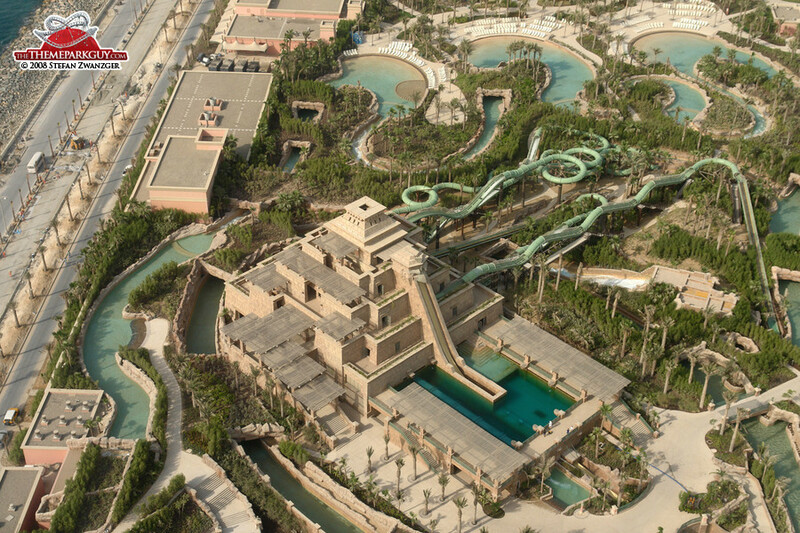 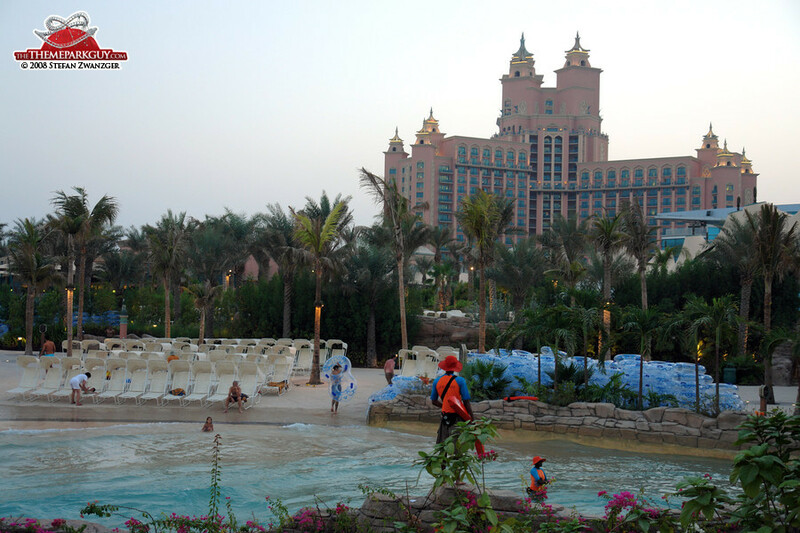 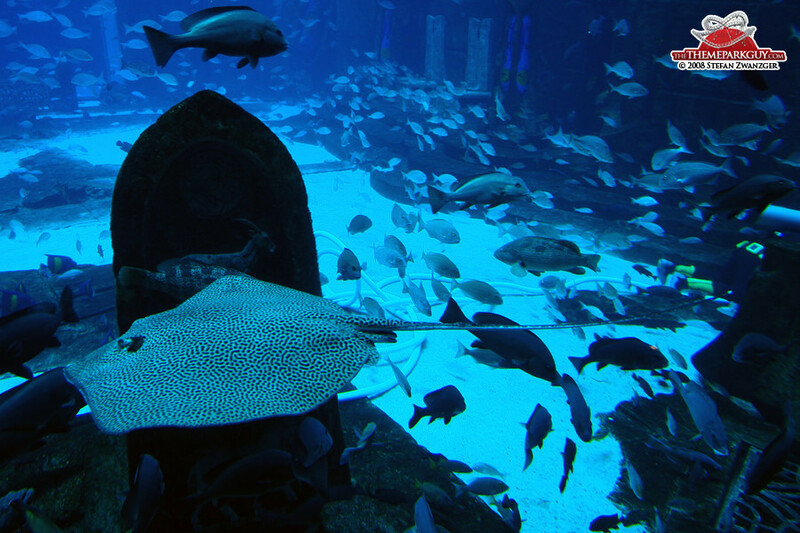 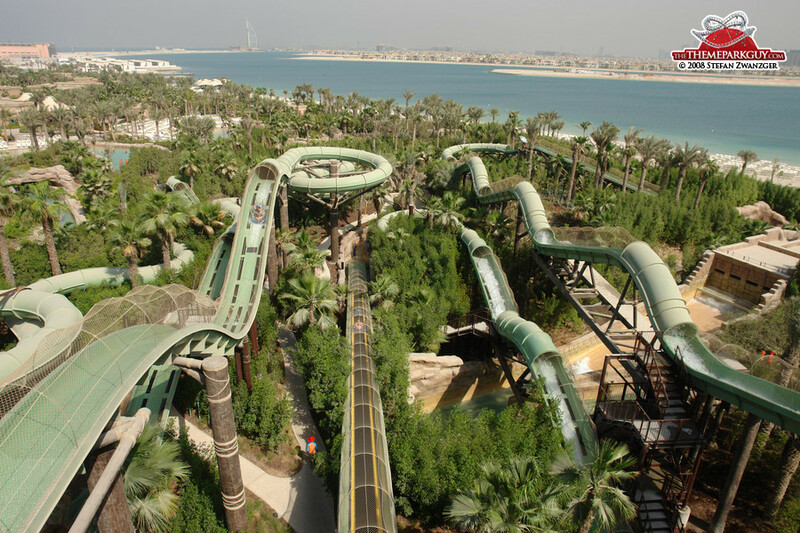 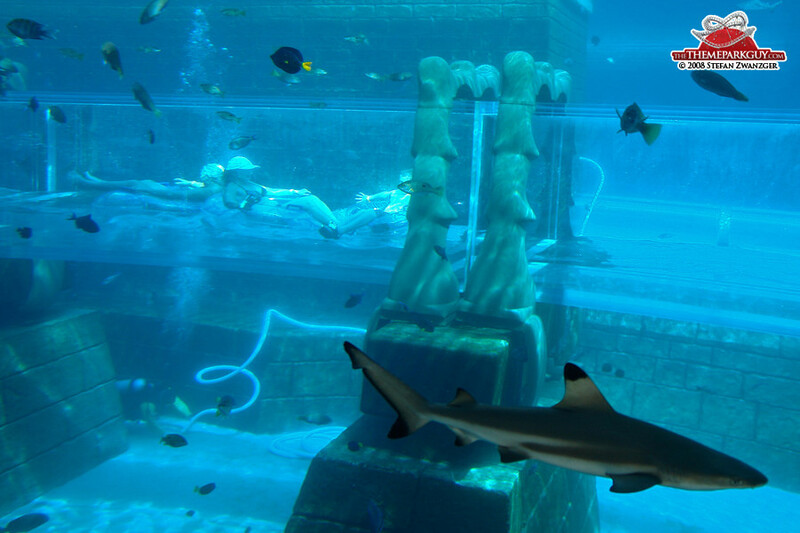 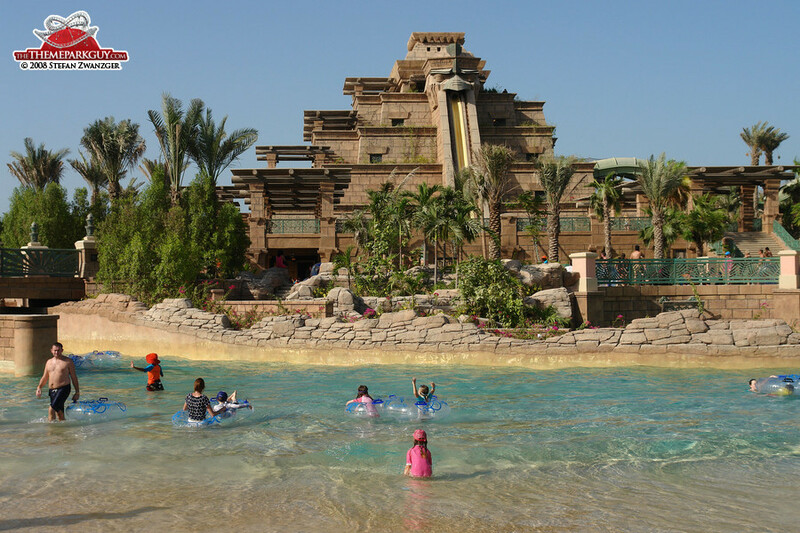 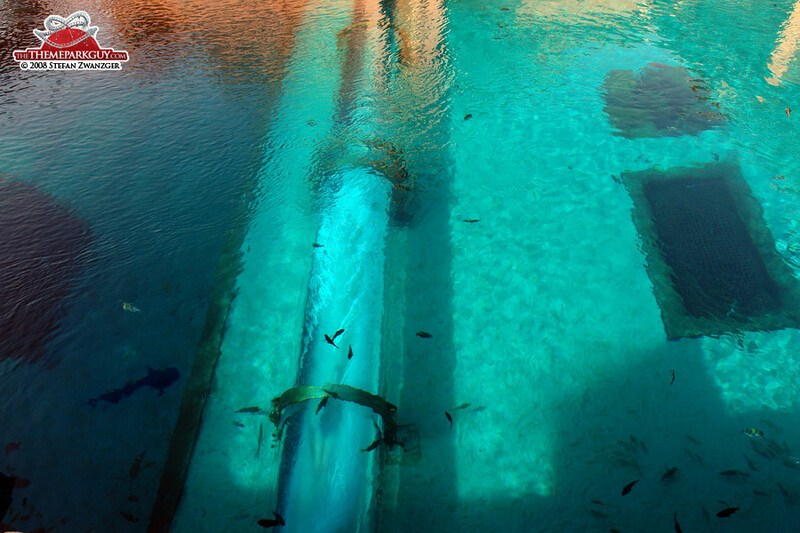 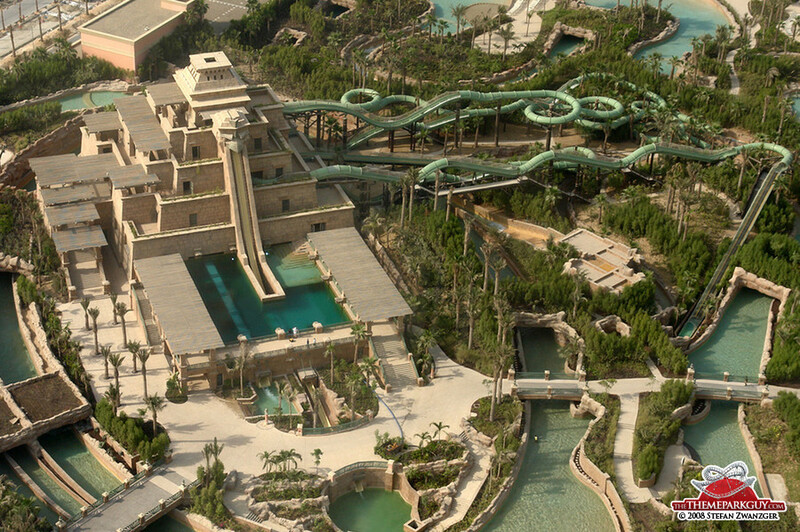 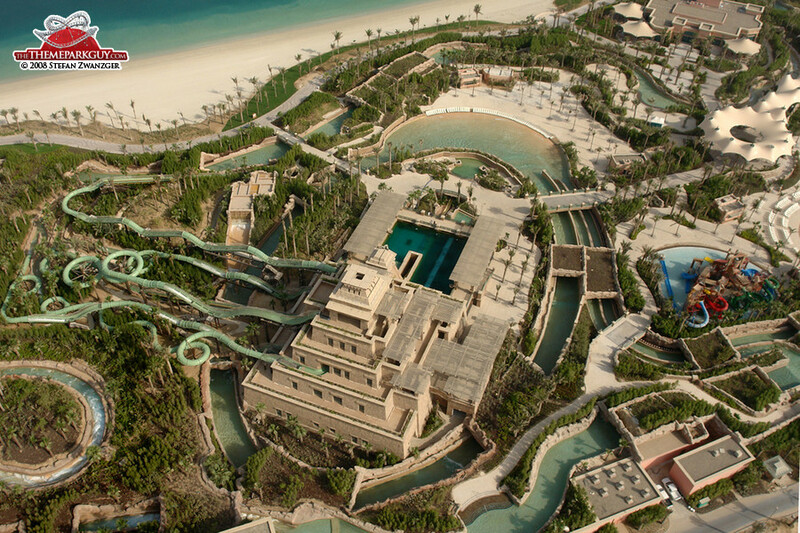 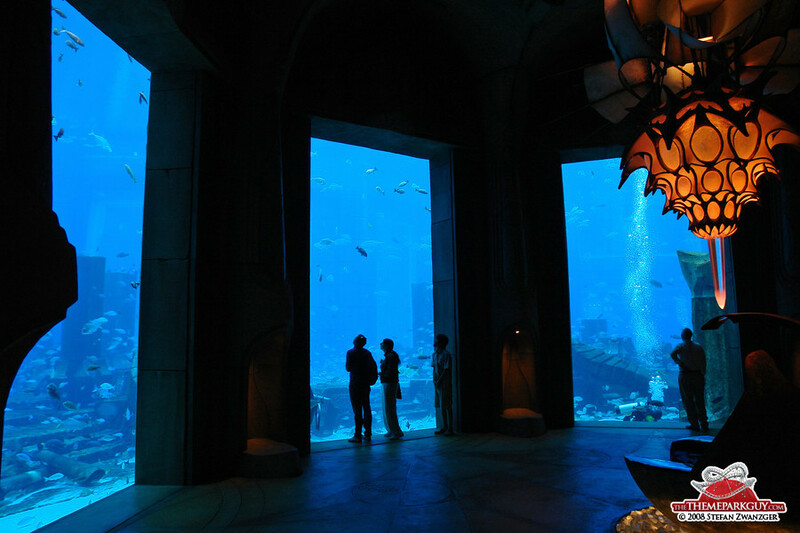 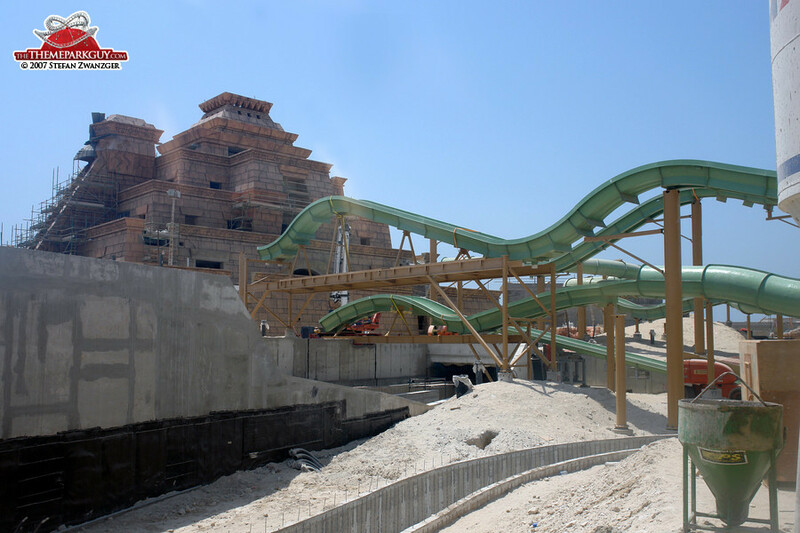 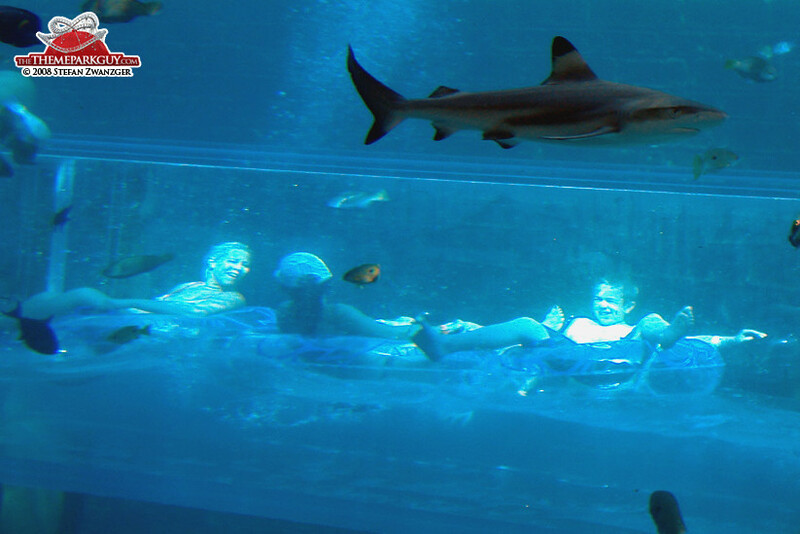 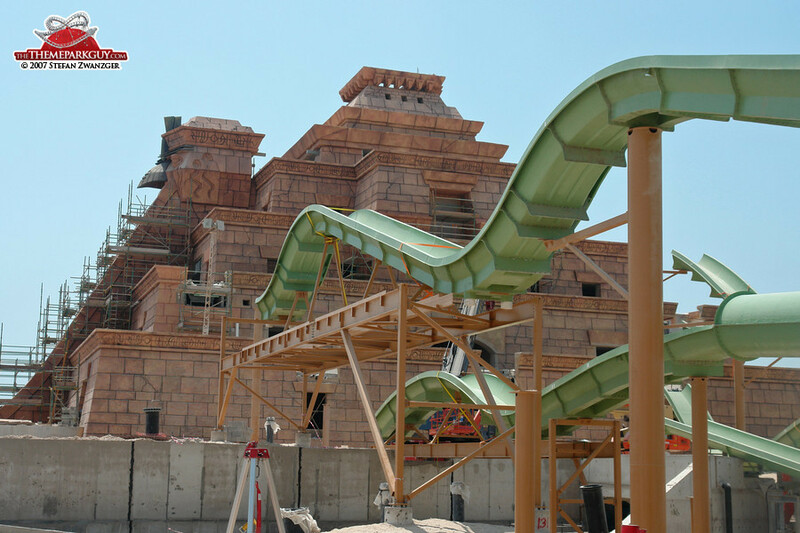 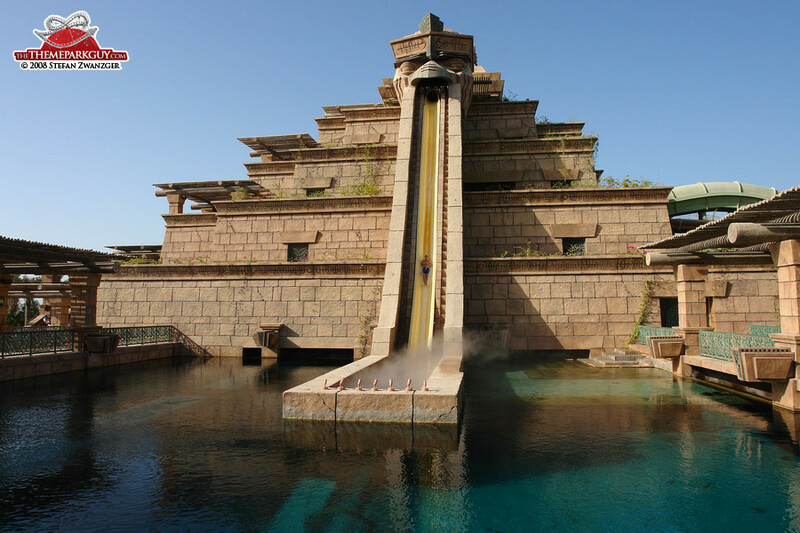 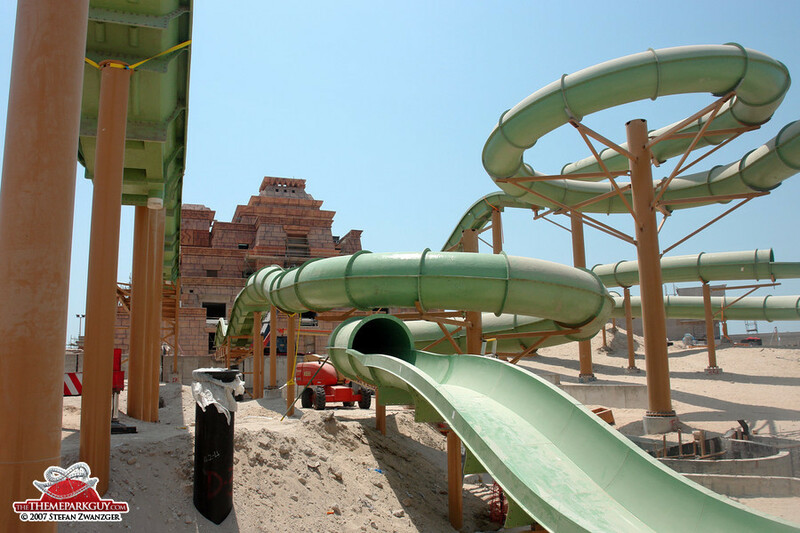 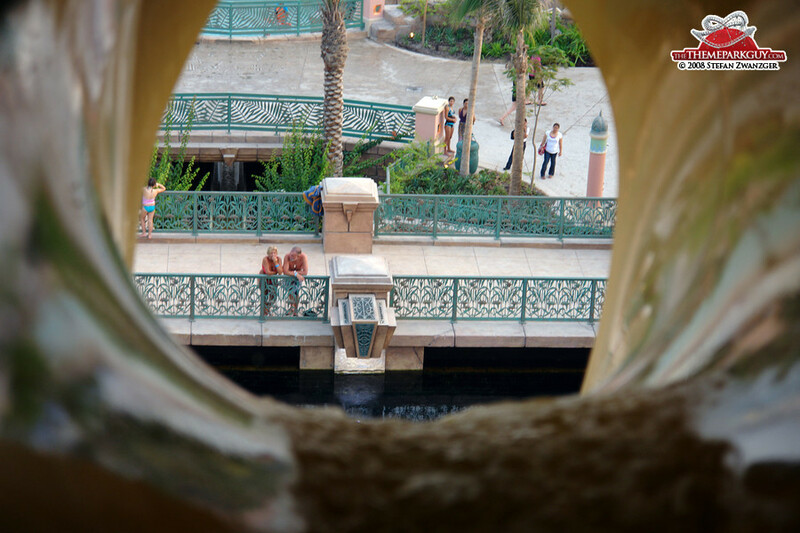 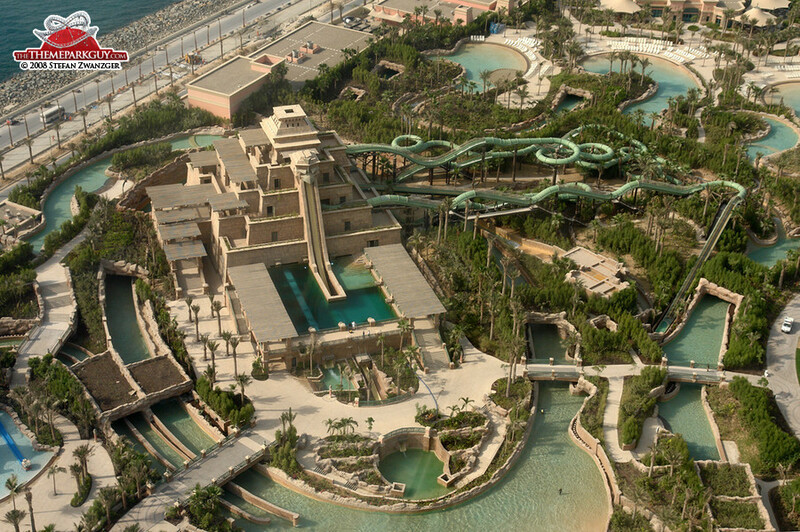 Both 'Lost Chambers' and 'Aquaventure' are an absolute must when you are in Dubai.